After last night’s episode of The Flash, it’s back to the drawing board for Team Flash’s crusade against Cicada. Who knew a little girl could be so disturbed? Fortunately, Barry Allen has a new plan to deal with Cicada. He wants to use Cisco’s metahuman cure on him, and end Cicada’s killing spree. But in the first promo video for The Flash episode 5.13, it won’t be that easy. In “Goldfaced” Barry and Ralph go on an undercover mission within Goldface’s gang. And yes, Goldface is an actual comic book villain name. Goldface’s Arrowverse incarnation may even be more threatening than his comic book counterpart. Whoever he is in this world, Goldface may have the key technology that Team Flash needs to defeat Cicada. But getting that tech without Barry and Ralph compromising their morals may prove to be impossible. 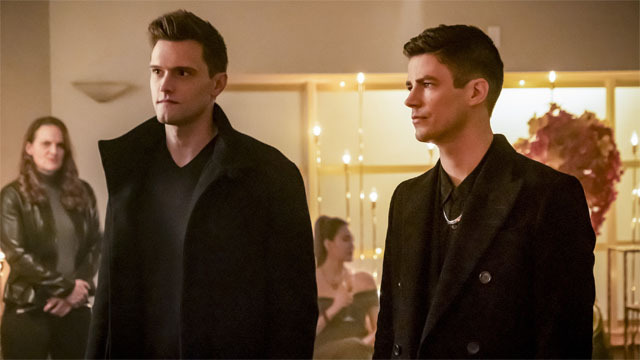 The Flash Episode 5.13 “Goldfaced” will air on Tuesday, February 5, on The CW. What do you think about the new promo? Let us know in the comment section below!